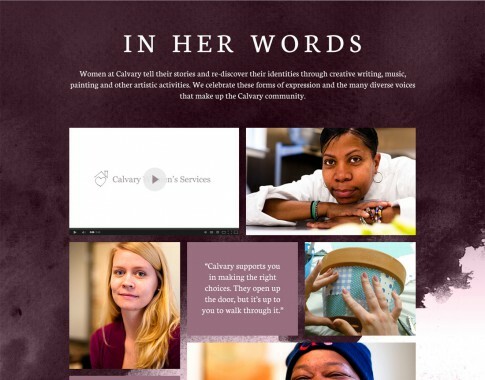 Calvary Women’s Services provides housing and helpful programs for homeless women in the Washington, D.C. area. 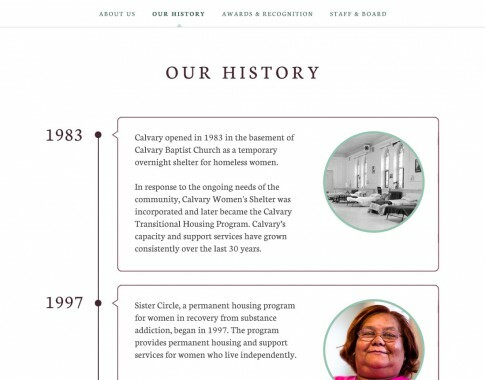 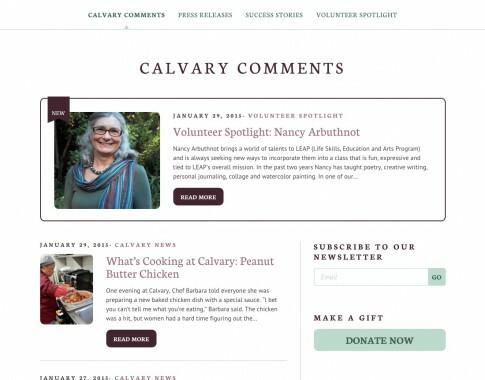 Bringing a new, fresh look to CWS, our goal was to bring a more modern approach to their overall site while shining a light on their wonderful services and community. 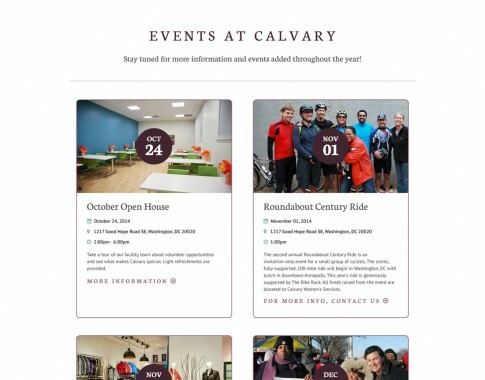 Carrying over their existing brand, we created a welcoming environment by incorporating some lighter complimentary colors and showcasing the wonderful photos of the CWS community of women, volunteers, and staff.